We have all type of evaporators in stock and ready for installation. 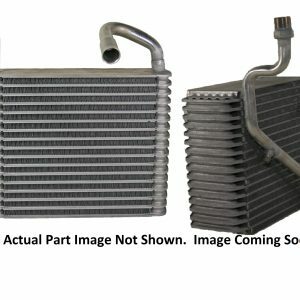 You will notice, the evaporator resembles a radiator or condenser. In other words, it is a coil. A quality evaporator has virtually no dead spots utilizing all of its surface volume for heat exchange. You will find only quality evaporators here at Auto Compressor World. Cold liquid freon enters the evaporator while the blower fans air over the evaporator into the cabin. The refrigerant absorbs the heat from the air. Simultaneously, the evaporator removes moisture and humidity from the ac system through condensation. Where the expansion valve joins to the evaporator. At a weld that is corroded. However, the hassle with a evaporator is its location inside the cabin. In other words, accessing the evaporator takes a lot of time and labor. In fact, most are relatively cheap. Auto Compressor World knows evaporators. Buy yours here if you want high quality and low prices! Find your part by using our year, make, and model lookup. Or, call us today!